Amazon Web Services Inc. (AWS) today took a tilt at traditional enterprise e-mail providers by announcing a preview of Amazon WorkMail. In a direct challenge to primary cloud services rivals Microsoft Azure and Google Cloud Platform, the new product will offer all the usual business e-mail and calendaring functionalities and will even let users work with existing providers, such as Microsoft Outlook, Web-based services or mobile apps running on iOS or Android. In fact, AWS said, with Microsoft Active Directory compatibility, Outlook users can sign into WorkMail through their client using their existing corporate credentials. "Today, businesses face a difficult choice when it comes to e-mail," AWS said in a statement. "Hosting e-mail on-premises requires expensive hardware, complex software licensing and ongoing maintenance work. Existing cloud e-mail services may help with some of these problems, but they either don't offer the security features businesses require (like strong encryption key management and full control over data location), don't integrate with existing corporate directories, or don't support popular Microsoft Outlook features like shared calendaring. 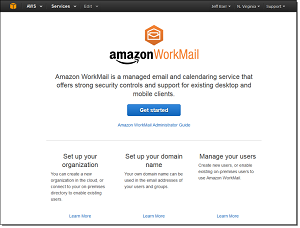 Now, Amazon WorkMail delivers the simplicity and on-demand access of a managed cloud service that works with popular e-mail clients and also has the security controls enterprises need." Along with the Active Directory integration, AWS emphasized that the new service offers reduced complexity and cost along with security and privacy controls. Location control -- The WorkMail administrator can choose to create mailboxes in any supported AWS region. All mail and other data will be stored within the region and will not be transferred to any other region. S/MIME -- Data in transit to and from Outlook clients and certain iPhone and iPad apps is encrypted using S/MIME. Data in transit to other clients is encrypted using SSL. Stored Data Encryption -- Data at rest (messages, contacts, attachments and metadata) is encrypted using keys supplied and managed by KMS. 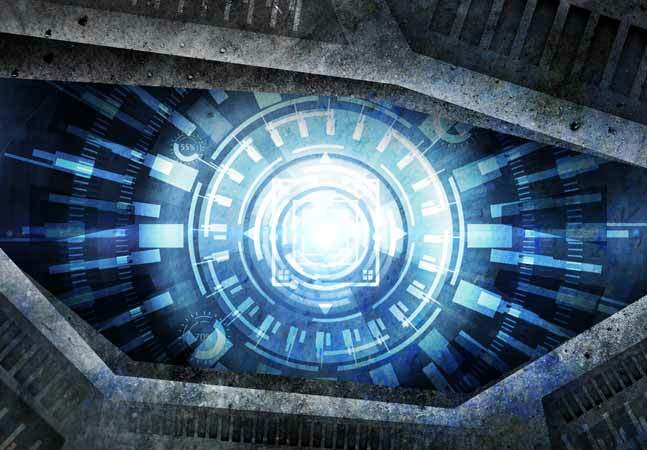 Message scanning -- Incoming and outgoing e-mail messages and attachments are scanned for malware, viruses and spam. Mobile device policies and actions -- The WorkMail administrator can selectively require encryption, password protection, and automatic screen locking for mobile devices. The administrator can also remotely wipe a lost or mislaid mobile device if necessary. The service will cost $4 per user per month, with an included 50GB of storage for each user. 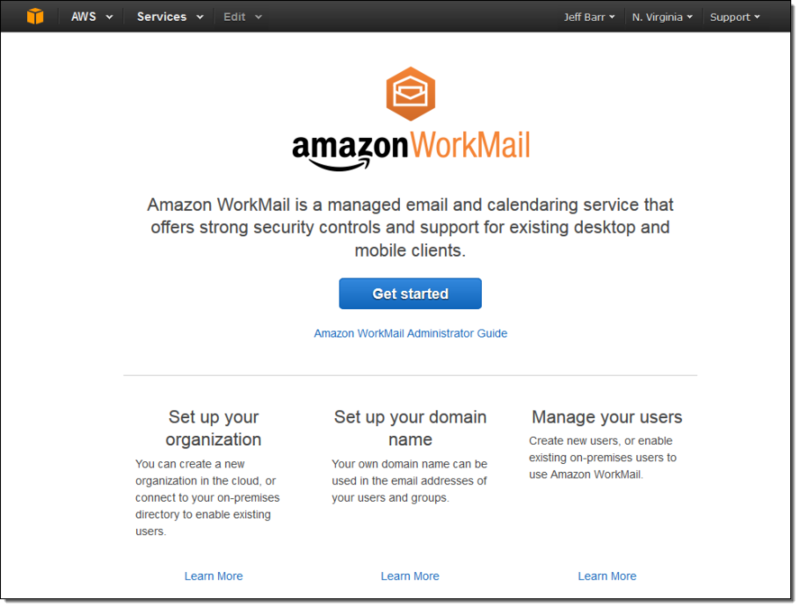 AWS invited users to sign up to participate in the WorkMail preview. "Our 30-day free trial will give you the time and the resources to evaluate WorkMail in your own environment," Barr said. "As part of the trial, you can serve up to 25 users, with 50GB of e-mail storage per employee. In order to help you to move your organization to WorkMail, we also provide you with a mailbox migration tool."